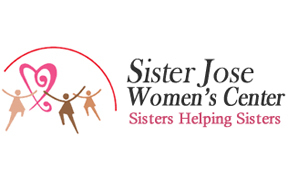 The Sister Jose Women’s Center is dedicated to the care and nurture of homeless women in a welcoming environment. "Where do the women sleep?" In the winter of 2009, the answer was silence. So started Sister Jose Women's Center winter overnight program. Beginning in a small church basement in the downtown area with a few volunteers, blankets and a coffee pot the first few homeless women settled in for the night. One woman, Gabriela, had been homeless for many years and felt safe for the first night in a long time. She returned each night and word spread to others about the safe place for women run by a small group of volunteers who had dedicated themselves as "sisters helping sisters." The question then become, "Where can women go during the day for their most basic survival needs?" Generous community members answered that call for help with funding sufficient to rent a small house on 18th Street. Women could take a shower and have a hot cup of coffee, get a new set of clothes and clean underwear. Some said it was like Nana's house; modest, homey and welcoming. Because of the needs and the increasing number of women seeking help we moved to a new home at 1050 S Park Avenue, Tucson. Here, over 100 women come daily for respite, community, and empowerment to move forward. And 36 women sleep here every night after sharing a home cooked meal. "Where do homeless women sleep, eat and get the help they need in Tucson?" At Sister Jose Women's Center.